Our activity around the Triumph motorcycles custom projects not only involves the handmade parts for Triumph by Tamarit such as cowls, side covers or exhausts. Several projects require as well the modification on other parts belonging to the mechanic area and the performance of the driving. 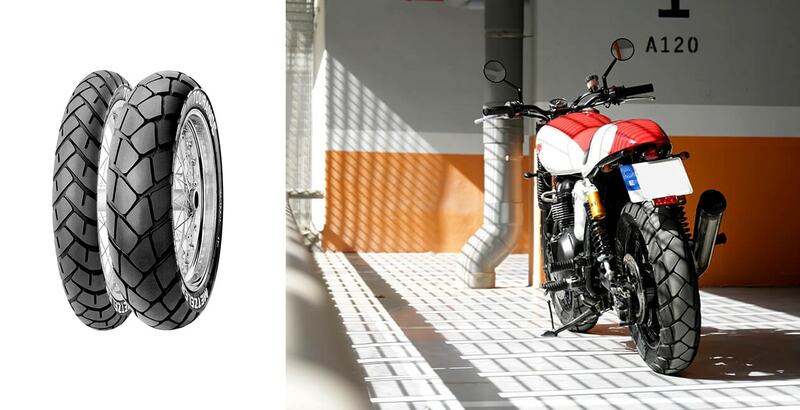 Not only has to be a unique motorcycle and perfect aesthetically speaking made under request of the client who hires us, but also the driving performance has to be optimal according to the high level displayed on the sthetic area that these projects could grasp. This set of new parts for Triumph for mechanical spares and driving are the only elements left to being sold at our Tamarit Motorcycles catalogue. Parts and elements that we work everyday with, and parts that are finally available for our clients, who are a huge part of the TMRT engine besides the projects. 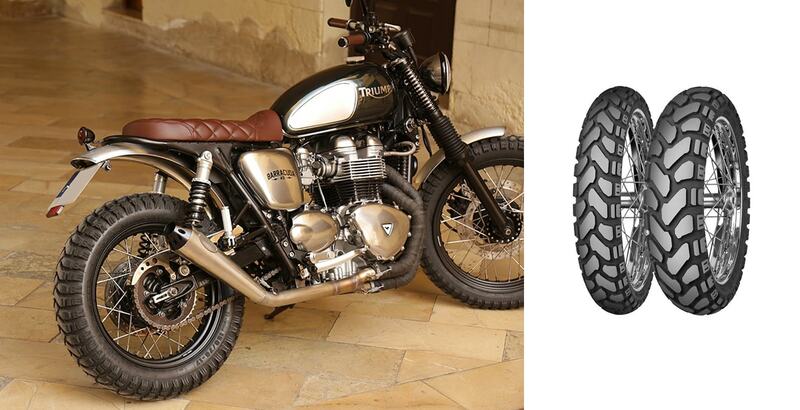 One of the most distinctive characteristics of our projects are the mixed or knobby Triumph Bonneville tyres installation in several of our bikes, despite we know that our clients rarely would get into muddy surfaces with their beloved Triumphs, where the mixed tyres would performance properly and play a role of key importance in terms of safety, the knob tyres provide an aggressive extra to the motorcycle which we love to be honest. 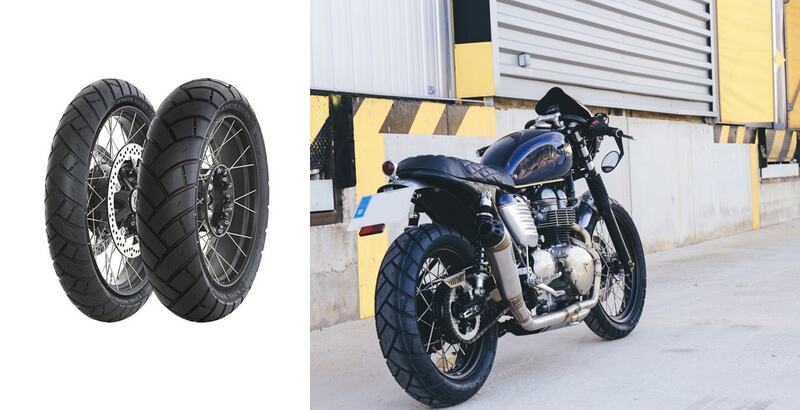 On the other side, most of our clients want also the best choice on Triumph Thruxton Tyres, aiming to install on their Thruxton either road tyres in better shape than the current ones (or higher performance in case you have a Thruxton R) or just for providing a mixed performance with Thruxton Tyres tourance type. 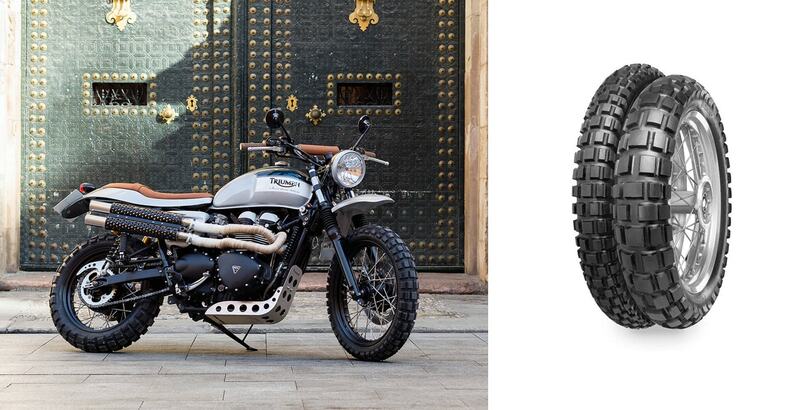 Naturally, we are used to be asked for a tough and all-terrain bike, prepared for every condition, climate and surface, then the scrambler tyres are the obvious choice, this time satisfying all the requirements, functionals as well as sthetics on these new parts for Triumph. At the end of the day, everything is made under client's desires. As mentioned before, the Tamarit projects include regularly a engine tune up and a full clean on the mechanic area. That's why we include premium Bonneville Oils in order to get the best results and reliable performance on the finished work we deliver to out clients. We include on our catalogue then a set of Bonnevile Oils specially designed for the Triumph Modern Classics with the best quality/cost ratio. The best choice in order to extend the life and proper working of your engine just by preventing the contaminants and sediments that could harm the engine with a good oil filter. The best oils have to be always next to a good Bonneville Oil Filter. Those are as well on sale in our catalogue, and they are able to work with every oil graduation, doesn't matter if they are synthetic type or other settins such as the regular or combined. And as always, in case you have any question regarding these new Triumph Parts, we suggest you that you get in contact with us through the contact forms appearing all around the website.